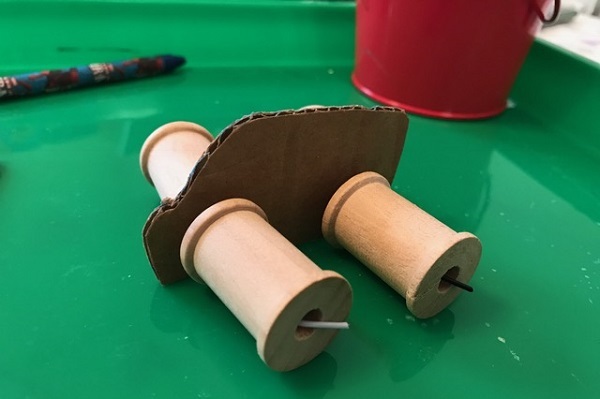 Building a simple car from cardboard and wooden thread spools might look rough and clunky, but it offers some opportunities for learning and developing skills, says Erica Peterson, founder of Science Tots. It’s S.T.E.A.M. 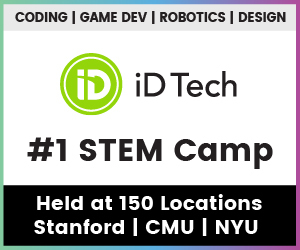 education — science, technology, engineering, art, and math — in a small package. 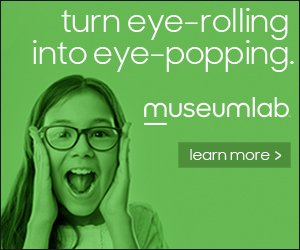 This activity can help improve hand-eye coordination, for example, and develop thinking and research abilities, Peterson says. And, of course, the basic pattern is one that can be improved upon through your kid’s ingenuity and creativity. 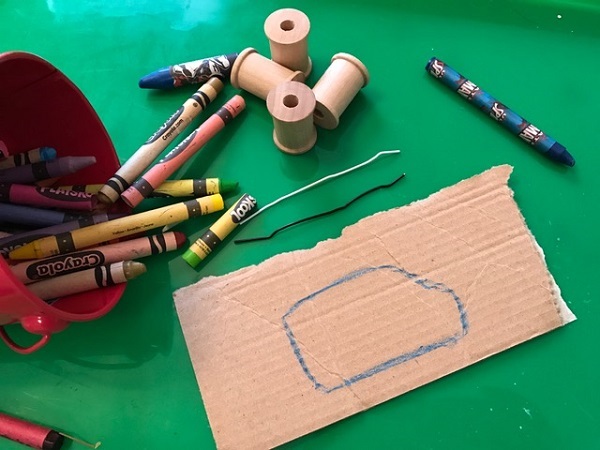 Ask your child to help you create a car template. Let them do most of the drawing and allow them to help with cutting out the template. Using scissors can help children develop eye-hand coordination and strengthen their finger muscles for writing. Ask your child what parts of the car make a car move. Where should the wheels go? If you glued them to the car, would it be able to move? Go ahead and let them try it if you have extra materials! Your child will learn to navigate challenges by trying, making mistakes, and trying again. Poke holes in the template and thread the straightened out paper clips or pipe cleaners through the holes. Find a toy car or search the internet for photos of cars. What are the wheels attached to? What is that called? It’s never too early to begin teaching research skills! 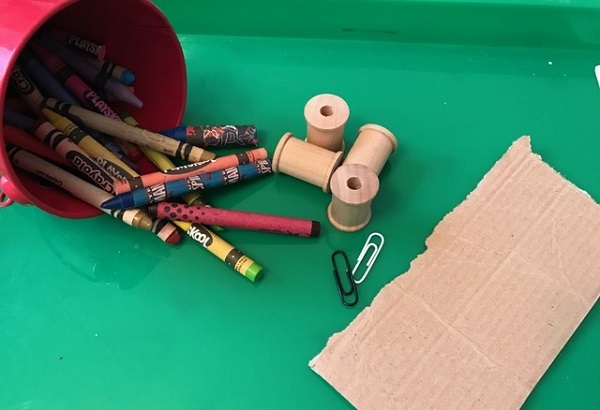 While examining toy cars or photos, help them see the similarities between the straightened out paper clips and an axle. After you and your child have assembled the car, ask your child what they would like the car to do better. How can you improve this design? Encourage them to ask questions to build thinking skills. 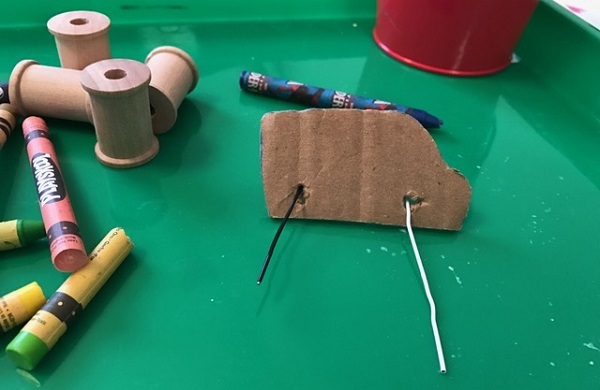 Share your Thread Spool Cars with Science Tots via email or tag @sciencetots on Instagram or Twitter. 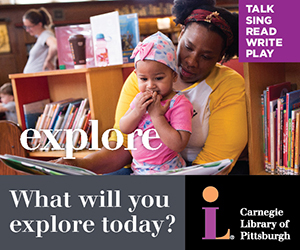 If you have cool craft projects your kids love, share them with Kidsburgh! 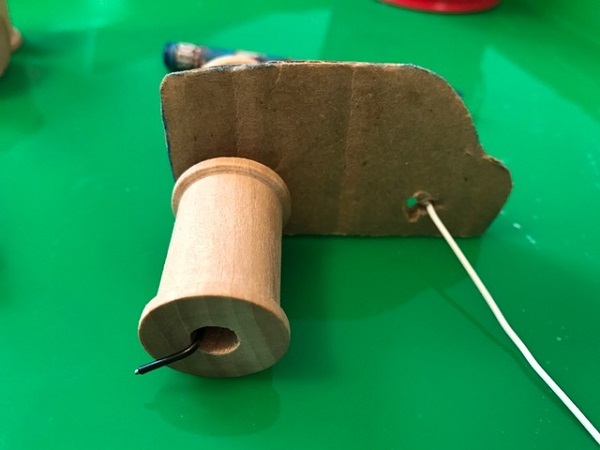 Email us your maker activities, and we’ll publish the best here.